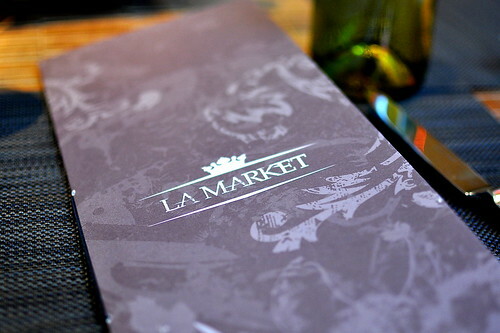 Dining at LA Market by Kerry Simon combined two of my favorite things: good food and reality television. 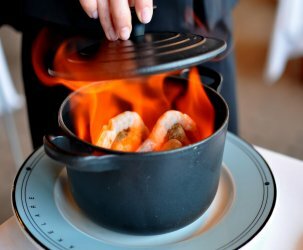 Tucked into the expansive lobby of the JW Marriot in downtown Los Angeles, LA Market is headed by Chef Nona Sivley, the winner of Hell’s Kitchen season eight. Shortly after Gordon Ramsay declared her victorious, she claimed her prize as the restaurant’s Chef de Cuisine. I’ve been hooked on Chef Ramsay’s parade of mostly incompetent culinarians for several seasons now, so I was more than a little excited to taste the creations of a bona fide Hell’s Kitchen survivor. Joining me for dinner was my friend Danny and a representative for the restaurant named Pate. LA Market’s menu, which focuses on “American cuisine with a California flair,” still largely belongs to Executive Chef Kerry Simon. However, there are touches of Chef Sivley’s signature Southern roots sprinkled here and there. 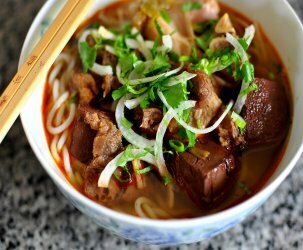 It’s likely that the food will gradually shift to reflect more of her culinary point of view as she grows more comfortable in the kitchen and at the restaurant. The first item to hit the table was the bread basket. I quickly snatched up a pretzel roll and took a bite. It looked like a winner, but ended up tasting unfortunately dry. The bread stick, on the other hand, looked like a loser but tasted like winner. It had a croissant-like quality that I quite liked. To whet our whistles, we ordered a round of market-driven cocktails. 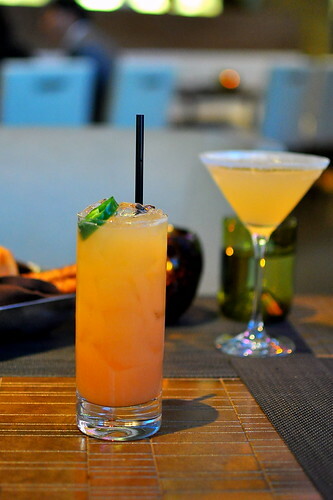 I chose the Orange Flame, which was made with Bacardi superior rum, blood orange juice, and jalapenos. I could’ve gone for more heat, but was happy overall with my drink. Chef Sivley sent out a duo of aps for us to dig into while we perused the menu further. The first was a bowl of blistered shishito peppers with sea salt, chili, and lime ($9). The second was the Tuna Dynamite ($14), one of Chef Simon’s signature dishes. 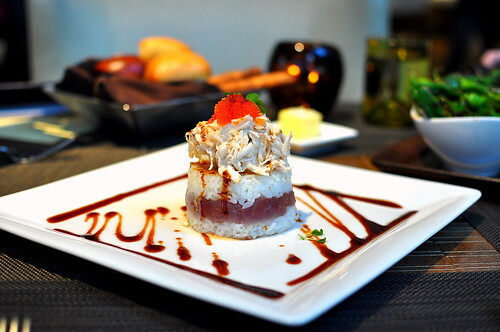 The dish was comprised of various layers of sushi rice, raw tuna, lump crab, and roe, all drizzled with a soy glaze. The fish and crab were fresh and plentiful, while the rice was warm and moist. The sweet sauce tied everything together nicely. To supplement the two starters, we also ordered some veal and ricotta meatballs. 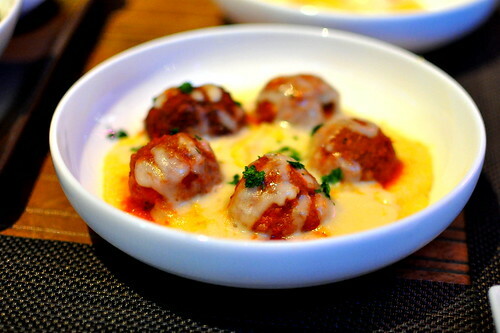 Topped with a bright tomato sauce and melted cheese, the meatballs were served atop a bed of polenta. Like the dishes that preceded them, the meatballs were straightforward and palatable, but not groundbreaking in any sense. The strongest starter of the evening was the gnocchi in cream sauce with lemon zest and lump crab, which was recently added onto the menu by Chef Sivley. 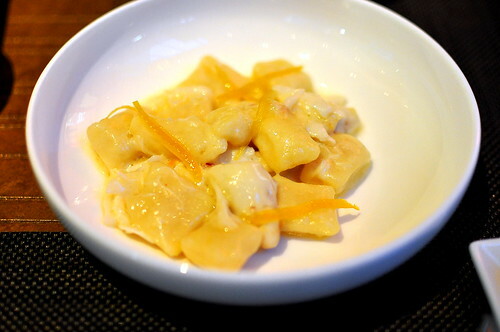 I was taken aback by the texture of the dumplings, which was softer and lighter than I had anticipated. The zesty strips added a jolt of freshness to the dish. For our mains, my dining mates and I shared a trio of dishes. 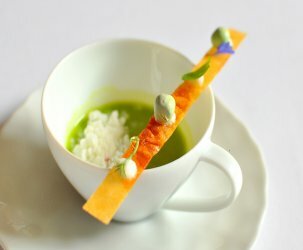 Two of the entrees were created by Chef Simon, while the other was crafted by Chef Sivley. 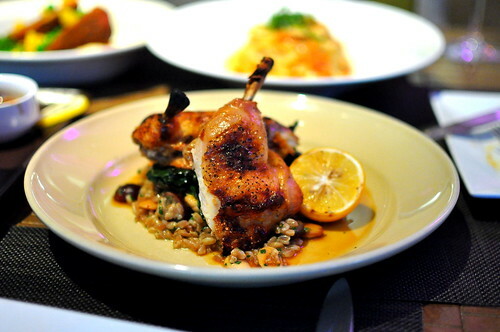 From the Simon side of the menu, we ordered the Bricked Organic Chicken ($24). The bird, which was served with organic farro and braised beet greens. arrived crisped on the outside and impressively juicy within. It wasn’t as revelatory as my friend Diana had promised, but it was solid nevertheless. 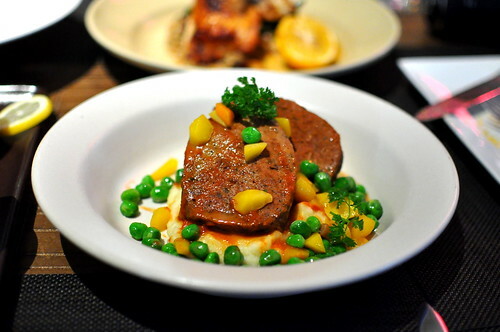 I felt very much the same way about Chef Simon’s famous meatloaf ($24) as I did about his chicken. It was a good rendition, but it didn’t command my fork to return again and again until every last crumb was gone. When it comes to meatloaf, I like mine loosely, packed, messy, and saucy. This one seemed too tidy for my taste. 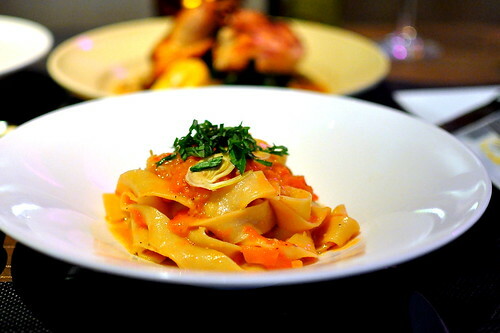 My absolute favorite dish of the entire night was Chef Sivley’s handmade papperdelle with tomatoes, artichokes, and fresh basil. The noodles had a great bite, while the sauce was well-balanced. Everyone at the table went for seconds, and I was lucky enough to snag thirds. The desserts we shared this evening were all dreamed up by Chef Simon. 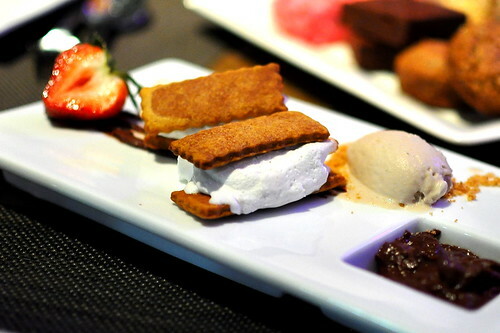 I picked out the homemade s’mores with chocolate sauce and caramel ice cream ($9). From the stale graham cracker to the congealed chocolate sauce and the melted ice cream, every element on the plate was seriously flawed. 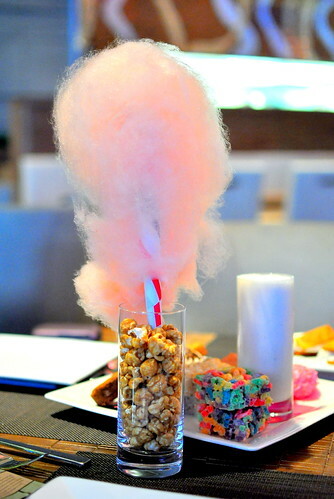 I was hoping that the famous junk food platter ($15) would make everything better, but it was mostly more of the same. The Froot Loop marshmallow treats were deflated, while the oatmeal and chocolate chip cookies looked unappealingly muffin-like. The frothy milkshake and Sno-balls, however, were pretty darn great. 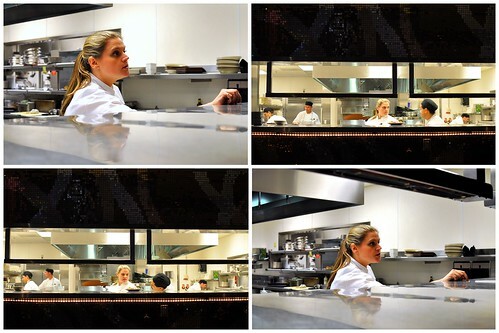 Although my meal at LA Market had a handful of misses, I still left feeling upbeat about Chef Sivley. The two dishes I tasted that she had created were easily the best of the evening, and I am excited to see how she transforms the menu over time. It’s tough to make one’s mark in a kitchen that is already established, but I think Chef Sivley has what it takes. Aww I’m sorry the chicken didn’t inspire you as much as it did me! 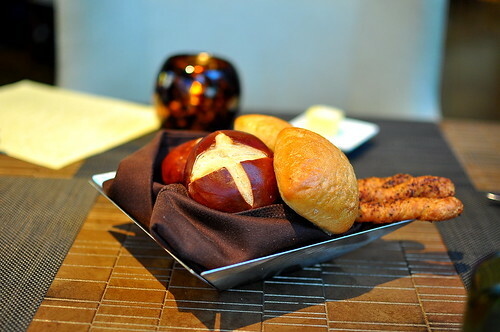 The pretzel roll tricked me also… I was so excited when I saw it in the bread basket, but didn’t take more than a bite once I tasted how dry it was. 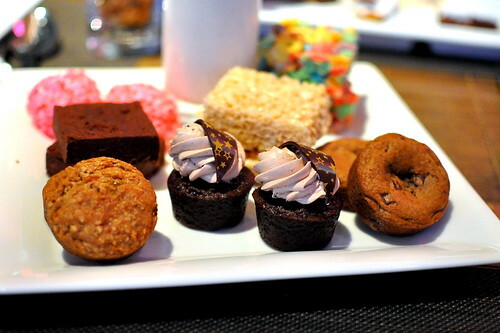 I’m dismayed by the platter of junk food failure, there is so much potential!